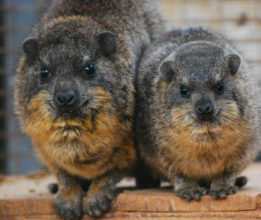 These squat, furry animals are native to Africa and the middle East where they reside in rock formations and cliff nooks. The rock hyrax has short, brown fur with longer hairs called “guard hairs” that stick out around the body. These hairs help the animal maneuver around its surroundings, similar to they way a cat uses its whiskers. 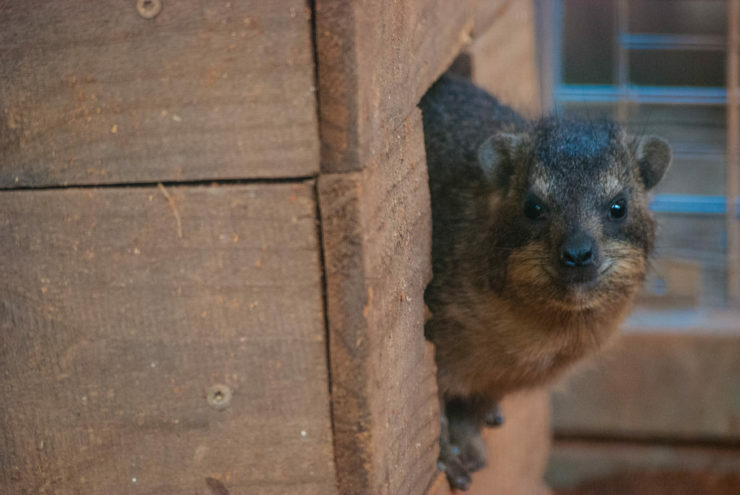 It’s a rough life for the rock hyrax. 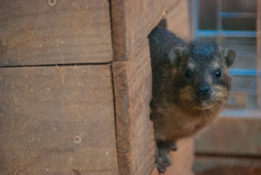 They spend about 95 percent of its time resting, which includes basking in the sun and “heaping,” where the animals pile on top of each other inside their den. These behaviors actually help regulate the hyrax’s body temperature. 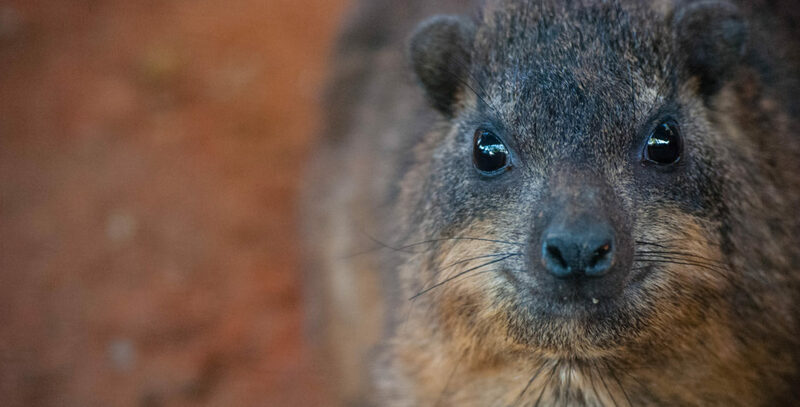 These little creatures may look like a rodent, but the rock hyrax is the elephant’s closest living relative! 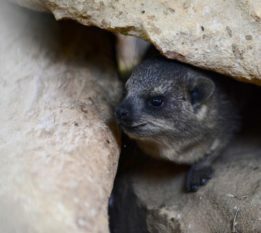 Aside from the similar structure of their toes and skulls, the hyrax also has two large incisor teeth that resemble tiny tusks.